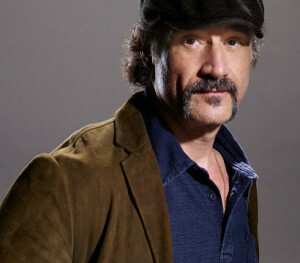 Early in his career, Koteas was cast by director Francis Ford Coppola in both “Gardens of Stone” and “Tucker.” Koteas then landed a role in Peter Masterson’s “Full Moon in Blue Water” and was later chosen for the lead role in Roger Cardinal’s explosive “Malarek,” playing true-life investigative journalist Victor Malarek. His haunting performance earned Koteas the first of two Genie nominations (Canada’s Oscar) for best actor. Koteas broke out as an international sensation after his starring role in “Crash,” David Cronenberg’s highly controversial exploration of sexual provocation and alienation, which was awarded a special prize at the 1996 Cannes Film Festival. Koteas has worked on several occasions with one of Canada’s most accomplished directors, Atom Egoyan. He starred in Egoyan’s “The Adjuster” and “Exotica,” which garnered Koteas a Genie nomination for best supporting actor, as well as “Ararat,” for which he won the Genie for best supporting actor. Koteas has notable roles in many films, including Steven Shainberg’s “Hit Me,” a modern noir adaptation of Jim Thompson’s “A Swell-Looking Babe”; “Gattaca,” starring Uma Thurman, Ethan Hawke and Jude Law; Gregory Hoblit’s supernatural thriller “Fallen” opposite Denzel Washington; Bryan Singer’s “Apt Pupil”; “Living Out Loud” with Holly Hunter and Danny DeVito; Terrence Malick’s Academy Award-nominated film “The Thin Red Line”; the David Fincher-directed “Zodiac” with Jake Gyllenhaal and Mark Ruffalo; “Shooter” with Mark Wahlberg, directed by Antoine Fuqua; and Fincher’s “The Curious Case of Benjamin Button,” starring Brad Pitt and Cate Blanchett. Other films include Martin Scorsese’s “Shutter Island,” Michael Winterbottom’s “The Killer Inside Me,” “Let Me In,” Louis Leterrier’s “Now You See Me” and “Last Days on Mars” with Liev Schreiber, which made its debut at the 2013 Cannes Film Festival. On television, Koteas was most recently seen playing the pivotal role of Lt. James Skinner on AMC’s drama “The Killing.” Prior to that he was a series regular on the ABC series, “Combat Hospital,” set in a medical compound in Afghanistan. Koteas played Col. Xavier Marks, a career military officer and commander of the multinational medical unit. Koteas has had several critically hailed performances on such programs as USA Network’s Emmy-nominated miniseries “Traffic,” the HBO original movie “Shot in the Heart,” where he played serial killer Gary Gilmore, the HBO original movie “Sugartime,” opposite John Turturro and Mary-Louise Parker and “House,” where he played Hugh Laurie’s nemesis. Koteas has stared in numerous theater productions, including Paula Vogel’s “Hot ‘N’ Throbbing” at the Signature Theatre, “Kiss of the Spider Woman” at the Yale Repertory Theatre and “True West” on Broadway, directed by Matthew Warchus. Koteas is a graduate of the American Academy of Dramatic Arts and a member of the prestigious Actors Studio.